Inspired by this promise from God's Word: "Be strong. Take courage...because God, your God, is striding ahead of you..." (Deuteronomy 31:6 MSG), The Fearless Life Devotional Journal reinforces the truth that with God, women can live courageously every single day-whether they fear the unknown, aging, rejection, losing a loved one, being alone, or something more. 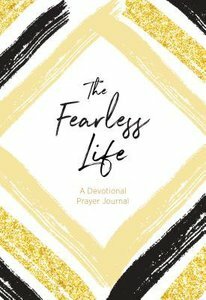 About "The Fearless Life: A Devotional Prayer Journal"